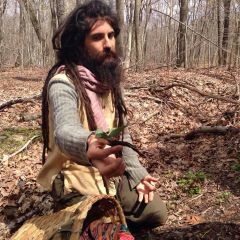 Join Dan de Lion (https://www.facebook.com/Dandelionwildchild) of Return to Nature in affiliation with Antinanco Earth Arts School (https://www.facebook.com/antinancobee/) for a class on how to set up the foragemobile with solar power! This class will enable students to learn how to rig their own vehicle, camper, house, or pop up tent with a solar set up that is easy to do once you learn the basics. This solar set up will get the van able to power up students who come along for foraging tours! We will rig the van with a full set up for phone and laptop charging, as well as a roof fan, and interior lighting which will enable Dan to have the lighting and devices to do online webinars and live webcasts from his travels, and turn the van into a roving news van, as well as a podcasting and music recording studio. Please help this vision become real! Heres 3 ways you can join and help contribute. 1. You can attend the class in person in Holmdel, NJ. There is a suggested donation of 15$ where you can learn and see how to wire your very own solar set up in person. 2. Join the Live Online Class: You can join us on facebook live on http://www.facebook.com/returntonatureskills where Dan will be holding the camera and showing you first hand all of the awesome details, you can also ask live questions. We will hold a 24 hour fundraiser that day! Please consider making any donation to our 24 hour online fundraiser where donations will be possible on http://www.facebook.com/dandelionwildchild .. We will also be auctioning off herbal goods live for viewers to share in getting awesome herbal gifts in thanks for donating!!! For those who donate over $50 online will include a link to a free webinar of your choice, taught by Dan de lion on herbalism and foraging topics. And anyone who donates $150 or over gets a free herbal consultation by Dan. More About The Class: Alex of Antinanco Earth Arts School will lead the class and also give out a measurement chart and a brochure with instructions that they can use as a tool for their future needs for all those who attend in person. You’ll understand how to formulate your needs and to set priorities, address safety issues and learn basics of electricity, solar energy current technologies and youll also be able to ask any questions you have live! We will show you how to implement some of the technologies right on camera! - And tips for planning the electrical needs and determining the necessary amount of gear for your purposes.